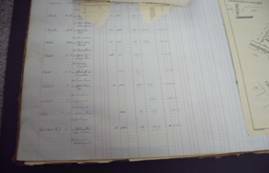 The book is leather and board case bound, standard Government issue rate book which has handwritten entries dating from 1927. The pages have ruled printed margin and writing lines. The margins and column lines are red and the writing lines are blue. The handwritten ink is black (probably carbon based) with some small indelible pencil symbols at some entries. 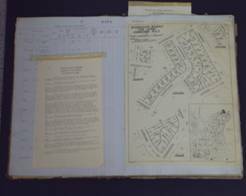 Unfortunately, during the 1970’s the book was used to store government land lease advertisements and announcements. 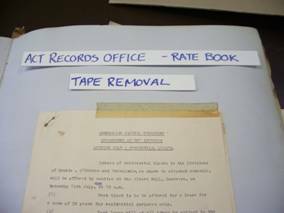 The documents were either pasted in or attached with self adhesive tape to the rate book pages. Multiple pages are staples and/or paper clipped together, before being pasted in. 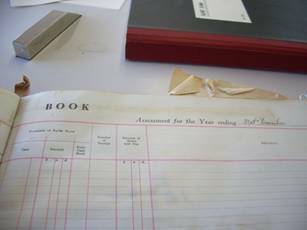 The ACT Records Office has requested that the lease documents be removed so that the original rate book information can be read and preserved. 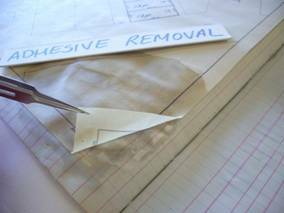 Appropriate solvent and technique to remove self adhesive tapes. 1. Solubility of all handwritten inks and printed inks on book pages and lease documents. All inks were tested with combinations of water and ethanol. The indelible pencil and red/blue margin writing lines are slightly soluble in all aqueous solutions. Upon drying there doesn’t appear to be too much smudging or feathering. The first solution tested was warm water. 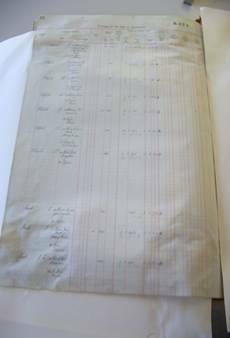 The lease documents were brushed out with 50:50 ethanol and water to assist with the penetration of the warm water. Warm water was then applied and the adhered area covered with a Mylar strip and left to sit for half an hour. This method worked successfully on all the lease documents tested. 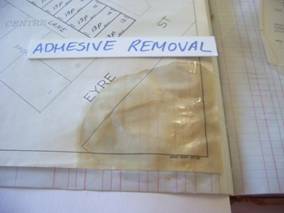 Any residual adhesive left on the book page or document was swabbed off with cotton wool saturated with warm water. The pages were cockled from the water treatment to remove the lease documents. 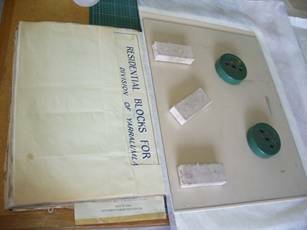 Each page was flattened with sheet glass and weights between Reemay and mount board. The method for finding a suitable solvent involves testing different types and combinations until a successful one is found. Not only to remove the tape carrier, but the adhesive whilst not affecting any inks. Acetone proved to be the most successful solvent, it removes the carrier, adhesive and doesn’t solublise any known inks. 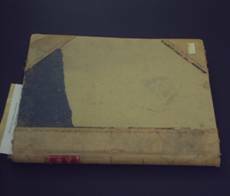 However some adhesive staining remains on the book page and document. This will be very difficult and time consuming to remove. 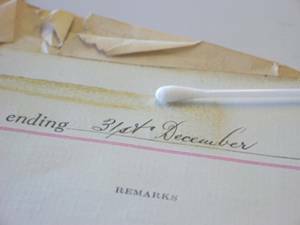 There are a couple of lease documents which had inks that were highly soluble in any aqueous solutions. As these were not covering any rate information it was decided to leave them attached. All paperclips and staples (metal inclusions) will be removed so as not cause rust stains. A couple of pages have edge tears that need repair. All lease advertisements and documents removed will be retained and stored in a folio. 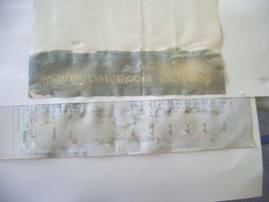 Some of the documents will have tidelines, some edge tears and cockling as a result of the treatment. Unless requested these will remain untreated. There are 8 pages that need self adhesive tape removal, 24 metal inclusions, 65 lease documents attached with adhesive (partial and completely) and 23 lease documents attached but not covering rate book information. Treatments take 30 -60 minutes per document. 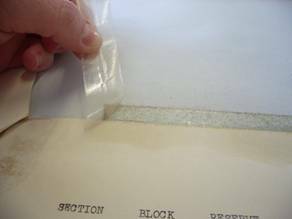 Lease documents attached with self adhesive tape removed will be removed with solvent. Carrier and adhesive can be removed but some staining will remain. Metal inclusions (staples and paper clips) removed mechanically and replaced with plastic clips. Completely and partially adhered lease documents will be removed with warm water . If inks are highly soluble and not covering rate information they will remain. 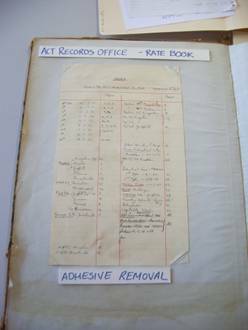 If the document is covering rate information we will contact ACT records office on a decision to try other methods of removal. 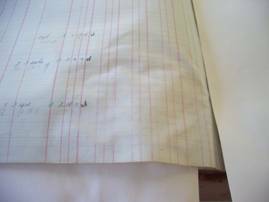 Pages will be flatten post treatment to reduce cockling. Lease documents will not be further treated but will be gathered and stored in a document wallet. Estimated time to complete Project : 80 hours spread out over time dependent on funding availability.